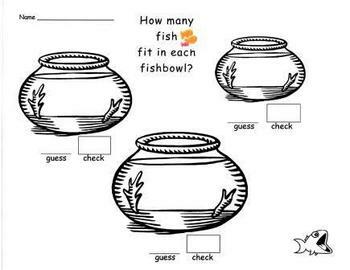 Two fun goldfish activities for math centers. Students estimate how many goldfish will fit into the fishbowls on the recording sheet. Cups of fish crackers are used to count and compare. 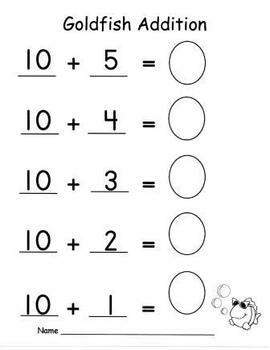 The second activity involves counting on from "ten". Students use bags of ten fish crackers and then add from their own cups to find the sums. 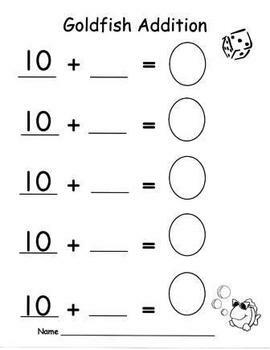 Recording sheets are included for both pre-set and student made problems.